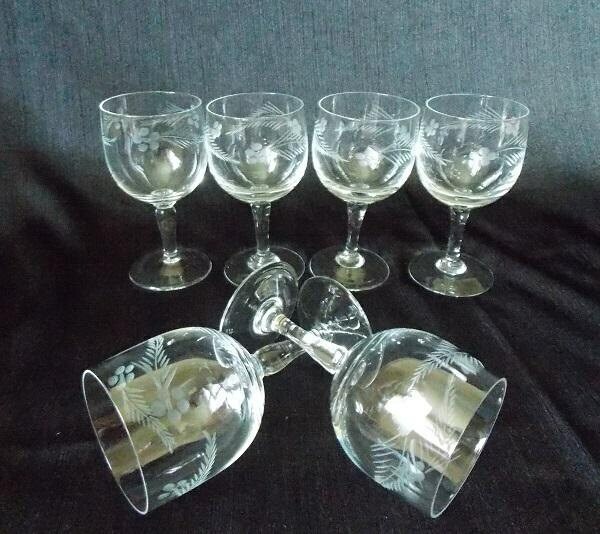 Give your bar or special occasion a touch of elegance with this mid-century cocktail set. 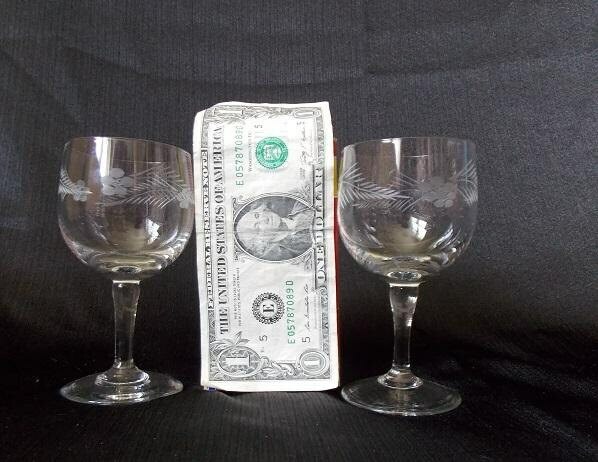 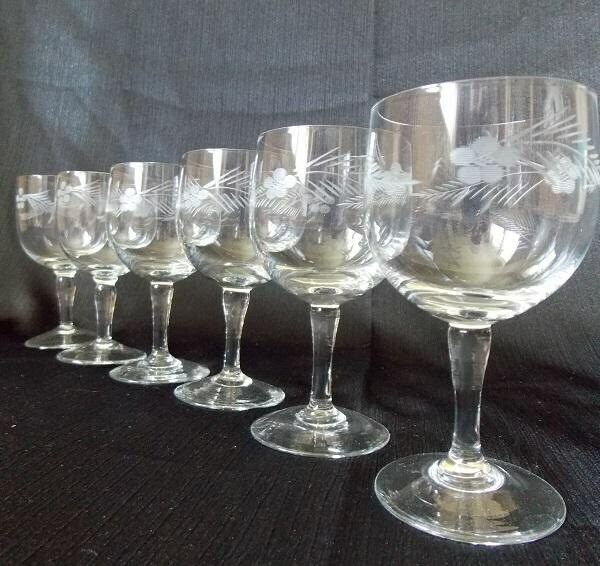 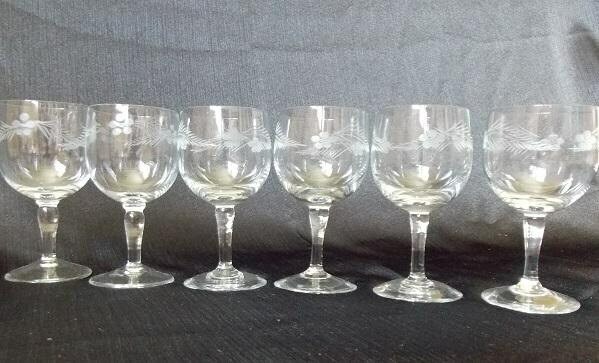 This set of six of etched cordial glasses have three matching floral designs circling around a panel bowl. 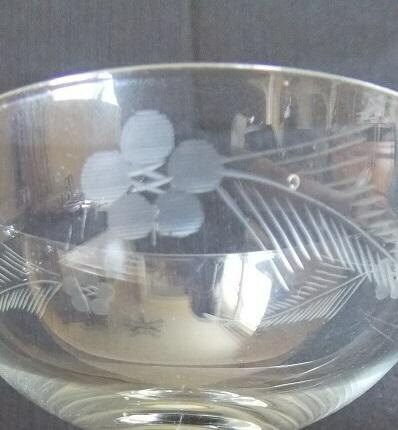 This floral design features a single flower with a trailing leaf pattern to one side.